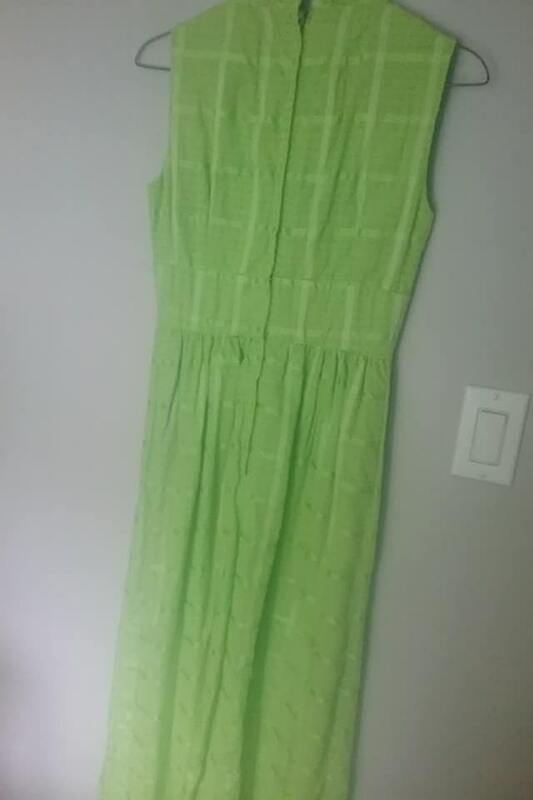 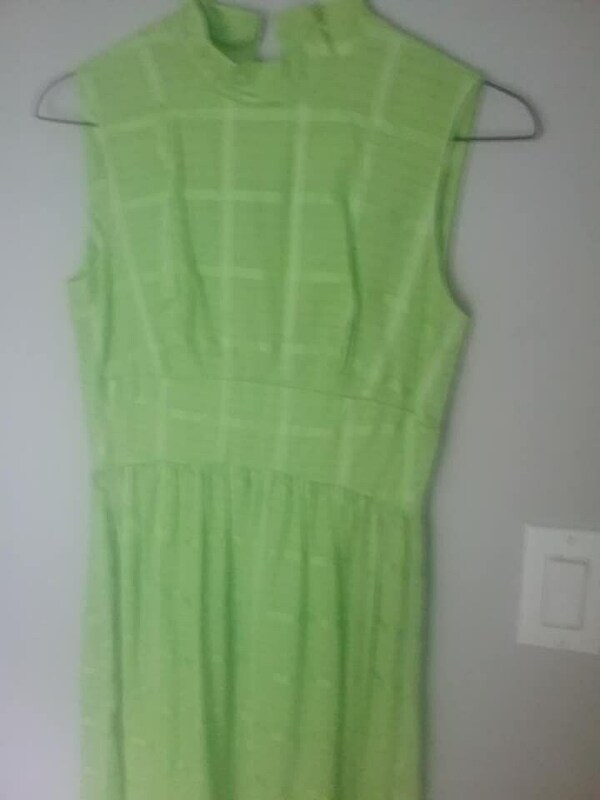 1960's maxi dress in lime green and sleeveless. 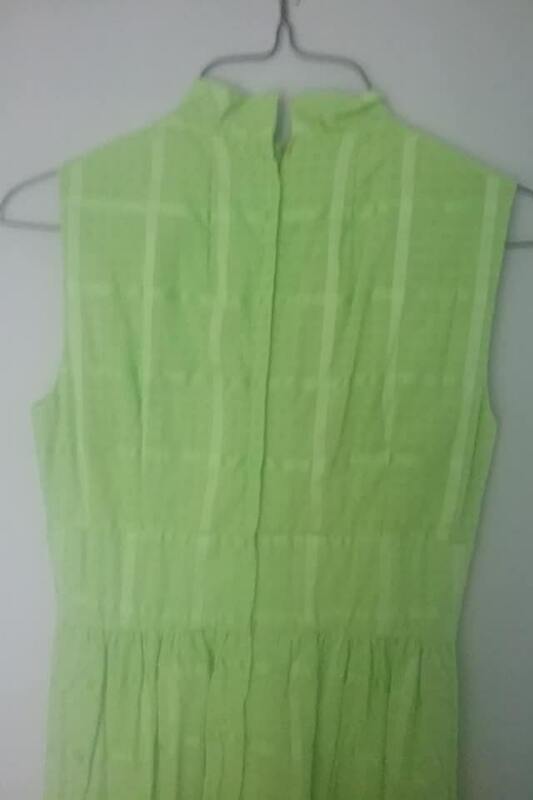 Handmade in 1960s, it needs 4 eye-hooks replaced on back, which covers the back zipper. 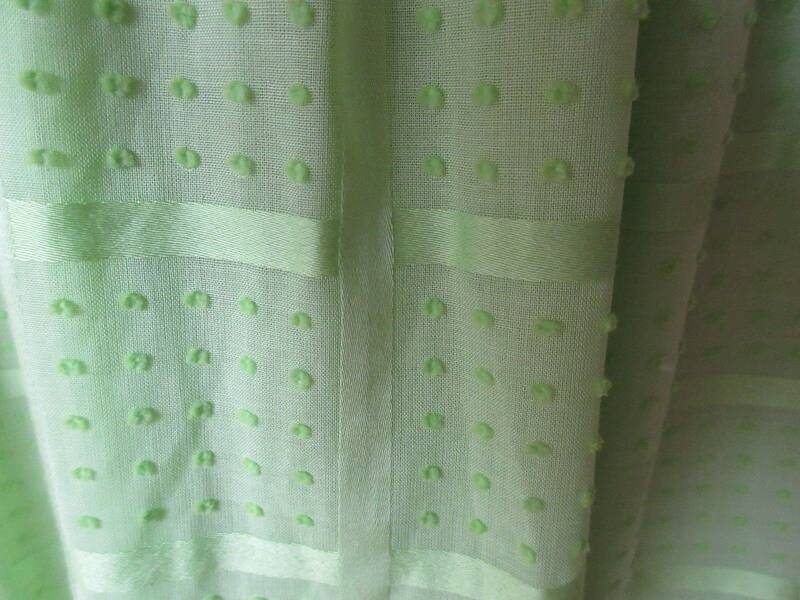 Good - very good vintage condition is made of a unique fabric (see close up on pic). 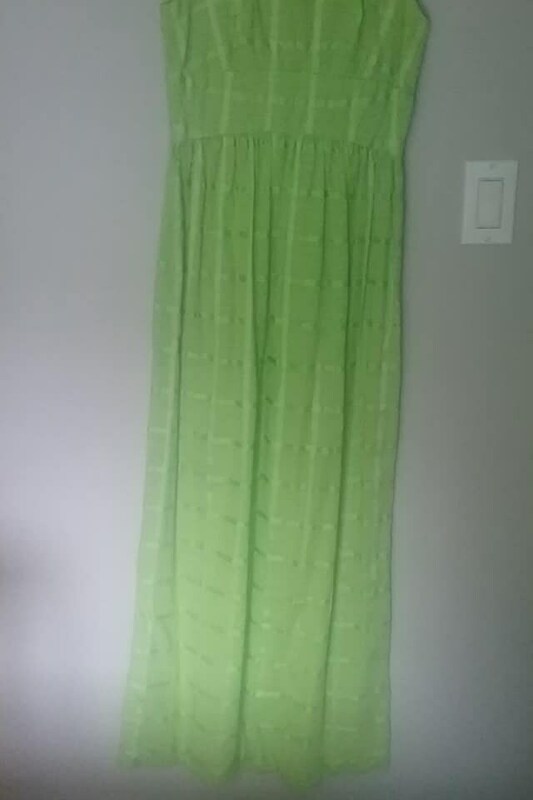 The approx measurements are as follows: bust - 30", waist - 24", hips - 40", length - 52" and shoulders are 12.5" Dress it up with some Boho jewelry or hippie accessories to really make it your own.